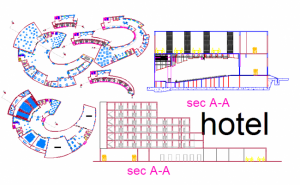 Hotel architectural design and functional planning detail, circular lay-out plan, different type of elevation detail, section detail. 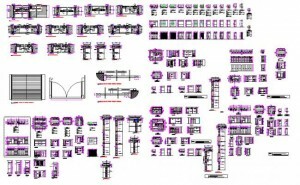 Farm House Lay-out , detail of play Area, club detail, gym area, garden etc. 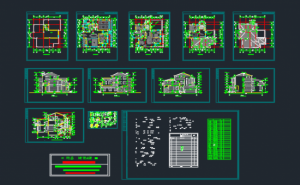 This House plan design in DWG file. 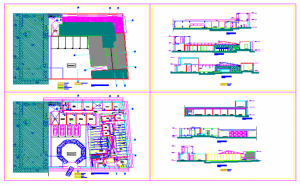 Section, Elevation Design, Lay-out design, Etc.2 BHK house design. 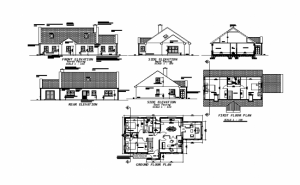 Types of Houses in hilly areas in DWG File. 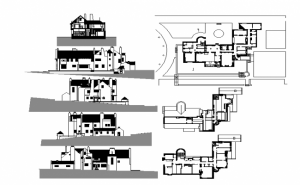 House detail in Elevation for all side, Section detail, Plan Lay-out design. 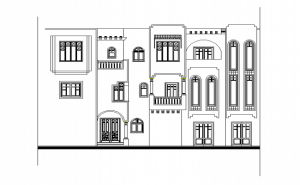 Bungalows Elevation Detail in autocad file, 3 floor detail front side elevation, windows elevation, door elevation. 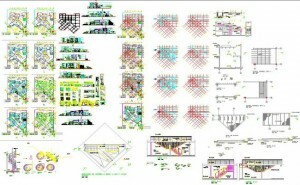 Typical Plan Door Detail & Section of metal Panel With Frame, Top Project, Dry wall Plan, Typical Wooden Frame Section.etc Detail. Glazed Door frame DWG. wooden glazed door frame.